Wow - this week has been more than hectic. So much so that I'm about a week behind in outfit posts. On the upside, it means no pressure to dress up next week - trackie bottoms all the way. But before all that (and I'll not share the trackies, I promise! ), I want to show off my new Hot Squash top. I first heard about this brand on Twitter and Facebook and was intrigued firstly by the name and then by the combination of on-trend styles/colours with built-in technology. 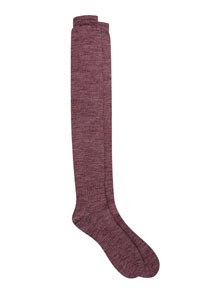 Basically, the range keeps you warm in winter and cool in summer (or warm in summer as was required in summer 2012). First off, I can confirm that it is toasty warm to wear. It's been so cold this week and I feel the cold more than anyone else in our house. 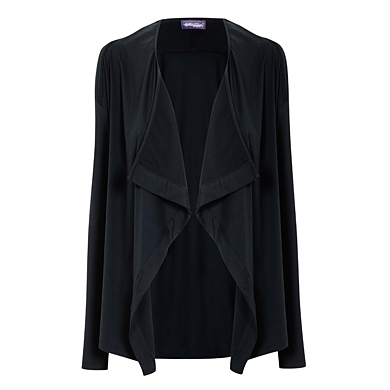 The top is no heavier than a regular cotton long sleeved top yet it's got the same effect as thermal wear. Warmth without bulk - love it! But if I'm going to invest in a gorgeous top like this, I need to know that I'm going to wear it lots so my challenge was to style it a few different ways. So here goes - 1 top 6 ways! Look 3 : Changed the boot cuts for skinnies and ankle boots and I added this cute New Look necklace which has a row of beads in exactly the same shade of green. 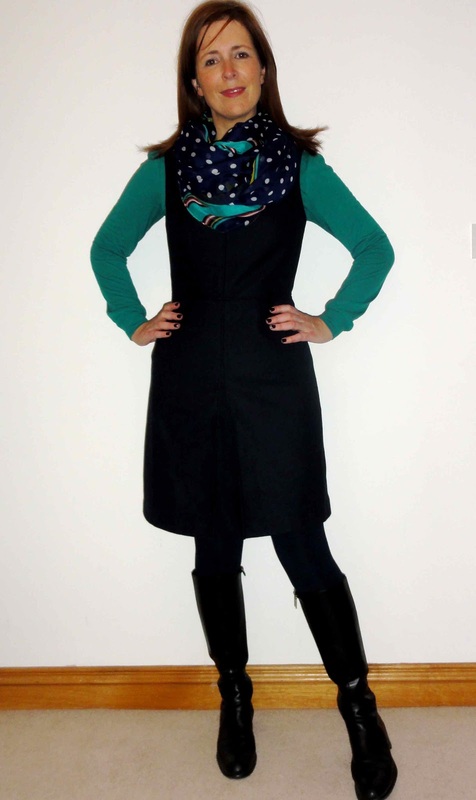 Look 4 : Frocking it in my navy Benetton wool dress, spotty scarf and black Hobbs boots. Look 6 : Nothing worse than being freezing on a winter's night out. I bought this sparkly scarf a few years ago and usually wear it to brighten up an all black outfit so I'm so pleased that the greens match up and I can take my Hot Squash top from day to night! Have you heard of Hot Squash before or do you own anything from their range already? Send them some School Gate Style love by liking/following the Facebook & Twitter pages and/or signing up to their regular email (by clicking here) for styling advice, sales notifications & special discounts. Disclaimer: Jenny from Hot Squash gifted this top to me. 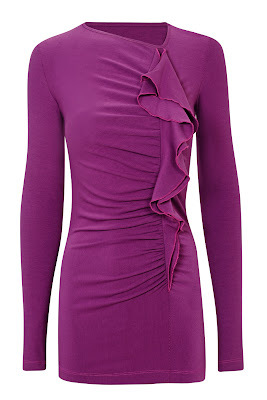 I was allowed to chose the item I liked the most from the current A/W range and was not obliged to blog about it. I really like the top (and in red too) would be great for work. It looks lovely on you. Great post Avril, love d top...will b checking out that site. Ohhh you know how obsessed I am about being warm - off for a look! Love the green, esp with your dress and skirt. Just checked out the site, OMG, love everything! I hate d cold, so delighted to see fahionable warm clothing that is not bulky...Defo buying a top and maybe maxi skirt Buut...have to reign myself in til payday nexy wk though! How is ot u always see everything you love when funds low!!!! Thanks for letting people know about Hot Squash. Love d green top, that colour suits u so well. 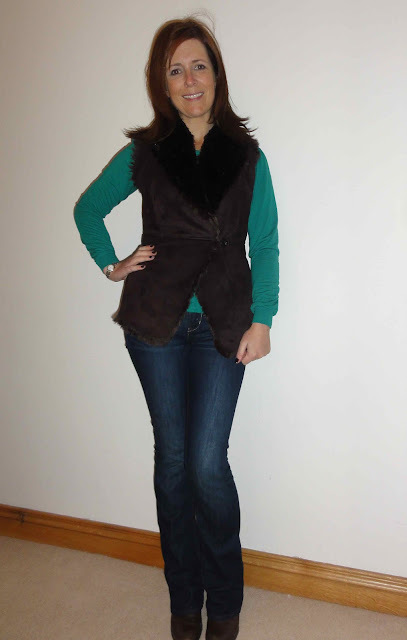 How fab, love how versatile that top is and that gilet is totally fab! Love the green top. Is it true to size would you say? I am a 12/14 and not sure which to go for. Great post.